It was only a matter of time before Puma joined the “collar club”, and they did it in style with the release of evoTOUCH. Adding a leather upper takes their release in a completely different direction to the competition, but that is something that has resulted in many questions from fans wanting to know what they are all about. I’m already several games deep wearing them and almost ready to start writing a review, but I figured an initial reaction post might provide some immediate insight for players interested in being the first to own a pair. So, I reached out to you guys via our Instagram and Twitter page, and below are some of the top questions you wanted answers to. They are pretty accommodating through the forefoot. You do need to loosen the laces to get properly settled in them, but they are more on the evoPOWER spectrum than evoSPEED. They are super soft inside, so there is no reason you couldn’t. Although, would you really want to? That is a good spot and series of boots to compare against. They are pretty similar to the Vapor Tech Craft in touch and feel, but the evoTOUCH definitely has a thinner upper layer. 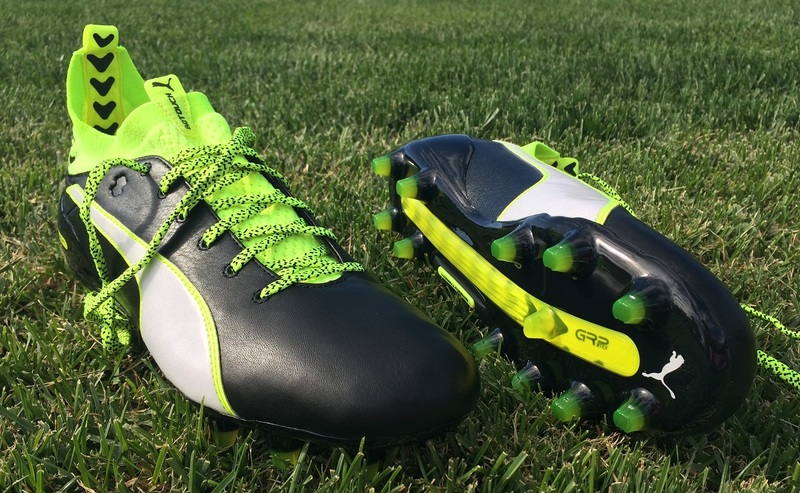 It is set to compete against all mid-collar boots, but Puma has taken a different approach with their release. So, as much as they are similar, they are also very different in style. This is one area where they excel. I’m a big fan of the conical stud design, with the configuration evenly dispersed to avoid any noticeable stud pressure. Very nice, definitely a top quality material that has a durable feel. Worth noting here is the evoTOUCH Pro and the evoTOUCH 1 both feature a leather upper. The evoTOUCH Pro is much lighter and the material is trimmed down to provide a more natural feel on the ball. To date, I’ve been impressed with the general construction of the boot and how well they have held together. It will obviously take a much more extended period to find out exactly how reliable they will be, I’ll update as time goes by. They are not advertised for AG, but my answer would be a definite yes. 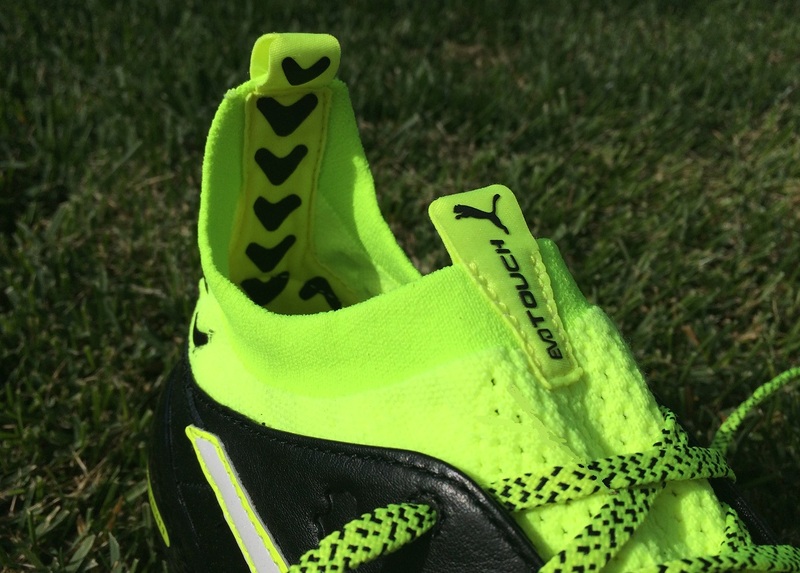 Pumas has gone with conical studs, so there shouldn’t be much drag as they penetrate and release from artificial surfaces. It is pretty smooth, but as a leather material, there is still a natural level of tackiness on the ball that you don’t get with synthetic materials. The evoTOUCH Pro retails for $275 while the evoTOUCH 1 is available for $170. I have both pairs and although there are very minimal differences visually (seriously, it is difficult to tell them apart!) you can tell the general quality and feel of evoTOUCH Pro is far superior. Find the entire Puma evoTOUCH collection available at soccer.com. Do you know if the introduction of this line will mean the end of the King 2 silo? Similar stud pattern, leader upper, modern take on a classic boot – this seems to be quite similar to what they were going for with the modern King line. I also can’t imagine that (despite how perfect the King 2 is for my foot) the King 2’s have sold all that well. Also, did you notice any issues with the studs being too long? They look longer than the average conical stud pattern from photos, just wondering if this affects the stability or drag of the studs. One turf they are a little sticky, but on FG they work real nicely. In terms of the King series, we are due a new release soon. Won't be too much focus placed on the King 2 until then. What's the fit ? True to size or go 1/2 up or down? 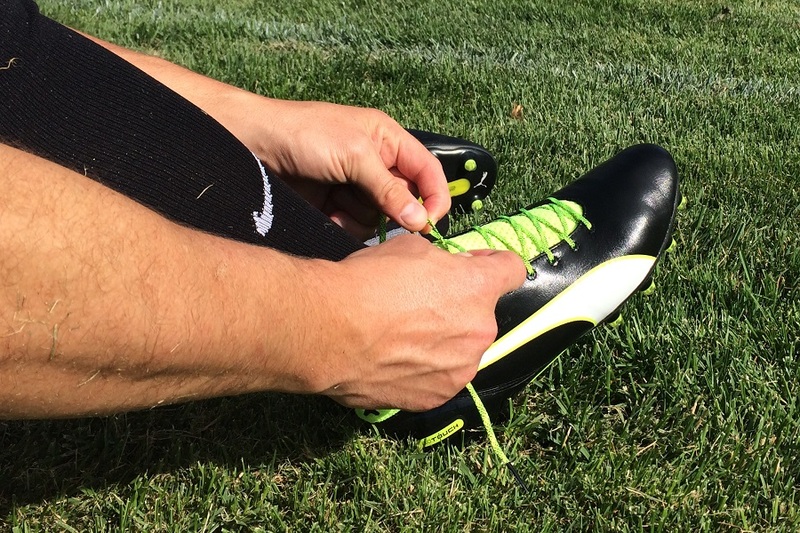 "I’d recommend them as being a true to size boot. 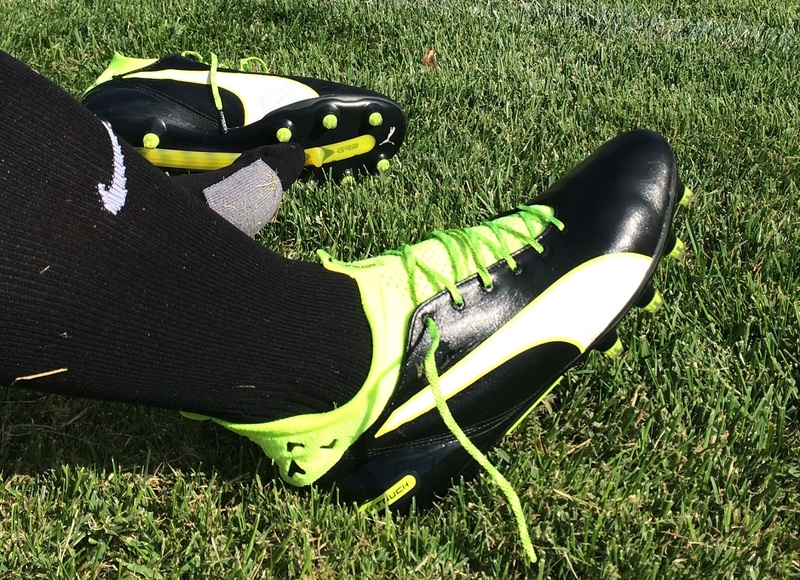 They fit so nicely up around the forefoot, with a roomy spacious fit that will suit players with a wider style fit. But the heel does need to be addressed [check the actual review for more details]. If you really want a pair, try them on in a store first. A half-size up is definitely an option, but I can’t guarantee you won’t encounter the same issues." How would I know which one I bought between the EvoTouch Pro and Evotouch 1? 🙂 I'm looking on ebay but it's so hard to tell!! The only way is via the text on the back left/right heel. If it just says "EVOTOUCH", it is the Pro version. "EVOTOUCH1" will represent the mid-tier version! How are they holding up? Durable?